Multiplex recently reaching completion on Capitol Grand Tower on time and on budget. 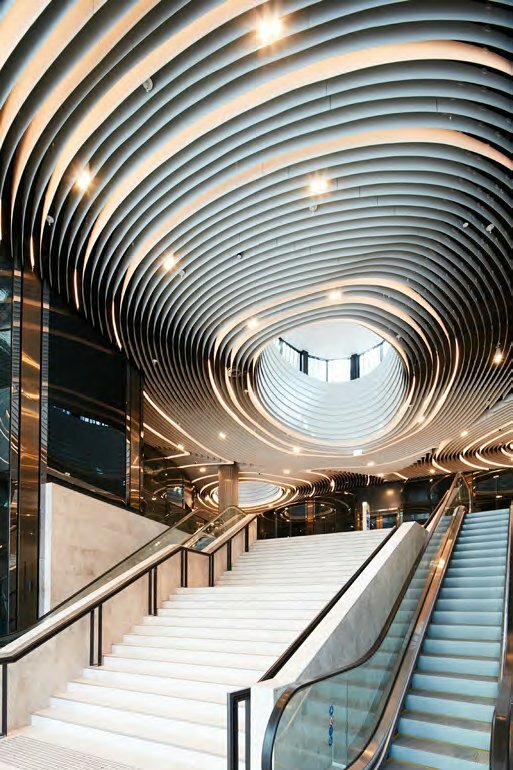 It’s the first tower completed on LK Property Group’s $800 million six-star retail and high-rise residential Capitol Grand development, which also includes the 50-storey LK Tower. Prominently located on the corner of Toorak Road and Chapel Street and designed by high profile architects Bates Smart, the Capitol Grand Tower boasts 88 luxury apartments across 10 levels. The project has been an exceptional one for the team, as Multiplex Regional Manager Director Graham Cottam explains. 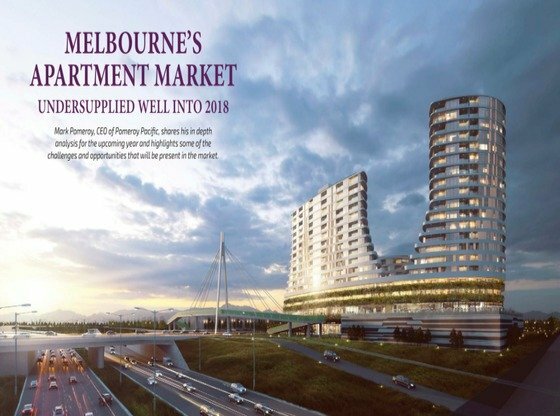 “From the outset, LK Property Group had a clear vision to deliver Melbourne’s first six-star luxury and lifestyle destination, so achieving a high quality outcome was critical,” he said. 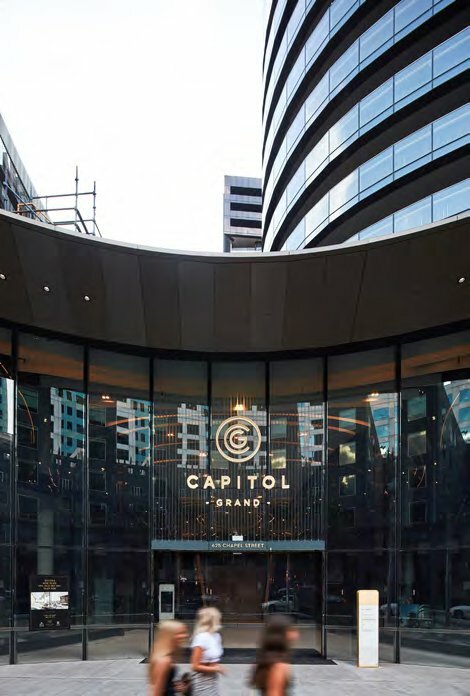 Cutting-edge design features of Capitol Grand Tower include undulating balustrades with a unique frit pattern, while no detail has been spared on the internal fit-out with high end finishes, appliances and fixtures and fittings featuring throughout the tower. It also boasts a range of ESD features, including solar panels and rain water harvesting technology from the tower roof which will assist with watering the landscaped podium area. “There were a number of challenges for the project team to overcome during construction,” said Mr Cottam.“In particular, we had to adapt to a number of changes requested by apartment purchasers. This ranged from simple changes to the internal finishes, to complex redesigns of apartment layouts and amalgamations to allow several apartments to be joined together. The project also used a range of innovative construction techniques to build efficiently within the tight city footprint. 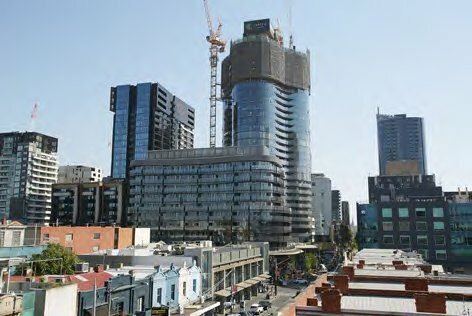 “A temporary shield structure was constructed to protect overhead services during crane lifts from Chapel Street, and the façade was installed between specialised formwork protection screens to mitigate the risk of falling objects over the busy city streets,” explains Mr Cottam. Work commenced on the Capitol Grand project in January 2017 and over 2,500 people have worked on site throughout construction. “Rewarding partnerships are the basis of any project for us, and it’s taken the collaboration of many consultants, subcontractors, suppliers alongside our client to achieve such a fantastic outcome on Capitol Grand Tower,” said Mr Cottam. At present, Multiplex has the largest workbook of any builder in Melbourne with 27 cranes on the skyline. 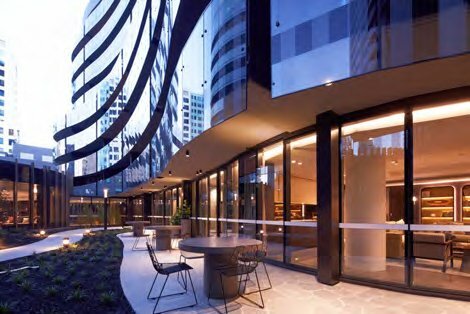 Current work includes some of the largest projects across the city, including Australia 108, Melbourne Square and Premier Tower, as well as delivering the second LK Tower. At 180 metres tall, the LK Tower will boast panoramic views across Melbourne, particularly from its upper levels where five whole-floor penthouses feature 360-degree views. Residents who purchase an apartment on Level 32 or above will have their own entrance, three dedicated lifts and exclusive access to the Azure Club, which will feature a state-of-the-art gym, lounges, dining rooms and an infinity pool. Capitol Grand will also house fine dining establishments, three levels of luxury retail, and a five-level basement carpark for residents. Over 85% of apartments for the development have already sold. The final stage of the luxury project is on track for completion in late 2019, and Mr Cottam says the best is yet to come.